Majestic Mechanical Scroll Compressor Systems provide superior reliability, maximum efficiency and compatibility with all types of refrigerants. Available in low and medium temperatures. Majestic Mechanical Scroll Compressor Systems require a fraction of the space as compared with Reciprocating Compressor Systems. To learn more about Majestic Mechanical’s Scroll Compressor System contact us. Scroll compressors are more tolerant to liquid refrigerant then reciprocating compressors thereby improving compressor reliability. Scroll Compressors have fewer moving parts than reciprocating compressors also adding to compressor reliability. 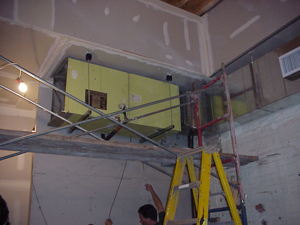 Economizer operation provides subcooling and reduces operating costs. Available up to 15 HP. 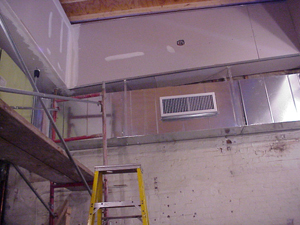 Did you know 9 out of 10 establishments DO NOT balance air volume with their space . . .
– Equal friction method of duct mixing. 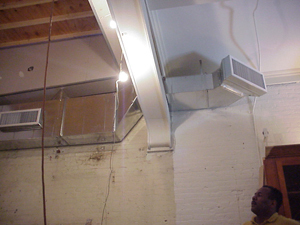 -Choosing correctly the recommended velocities for ducts and grills. 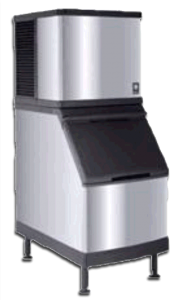 We repair all brands and types of ice machines.